In the summer of 1958 (6 months before Alaska became a state) my inlaws took a 10,000 mile trip to Alaska. Hubert and Sevilla Priddy, their children and his father left Glendale CA. in a custom designed truck camper. Hubert took many pictures along the way and created a family slide show with descriptions of each picture. When you look at these pictures you will discover that Hubert never saw a car he did not like. 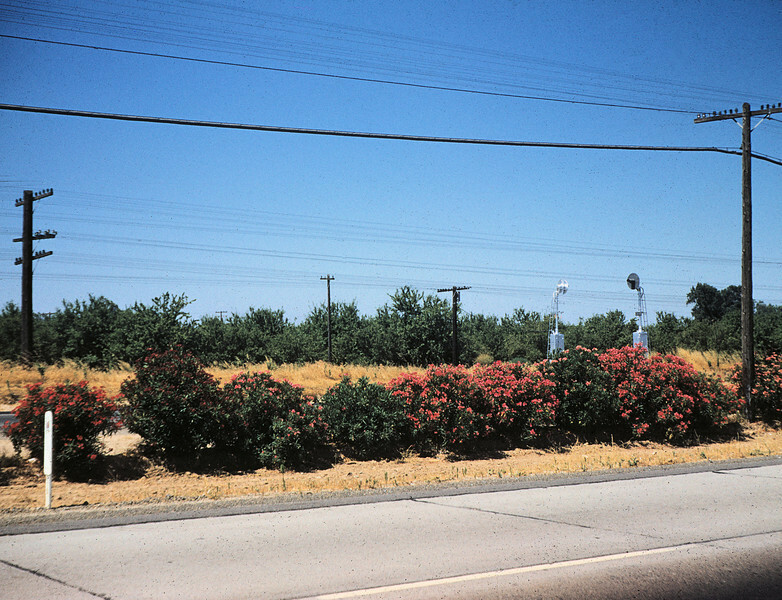 Oleander row north of Merced on CA 99. July 04, 1958.